The time has come, again, for change. In thinking about blog content for DAGS and how to push myself to write relevant posts, I have decided to mix things up. I have decided to take a step into the unknown. Being comfortable is easy. Stepping out of that comfort and seeing how you move through the world, is a beautiful challenge. I began this aspect of the blog to shine a light on events happening in and around the South Dakota, Iowa, and Nebraska areas. My curious and exploratory nature has been fulfilled with these travels, but I’ve noticed that the connection and engagement with my readers is lacking. As eager as I am to write these posts and share parts of the Midwest with you all, there is a disconnect. I have decided to take these next few weeks to play with different ways to reach you all through these posts. This week will begin with a compilation of wild articles, imagery, and creators, that are bringing fascinating perspectives to the creative world. These have aided me in my constant yearning for inspiration and visual stimulation. Taking the time to research and see what other creatives are engaged in helps bring a new perspective to my own work. As my community of artists is still forming here, social media and the internet continue to be a way for me to feel creatively connected to the world. My mind has been a bit scattered, and remains so, but I am on the way to clarity. I look forward to walking with you on this new journey. 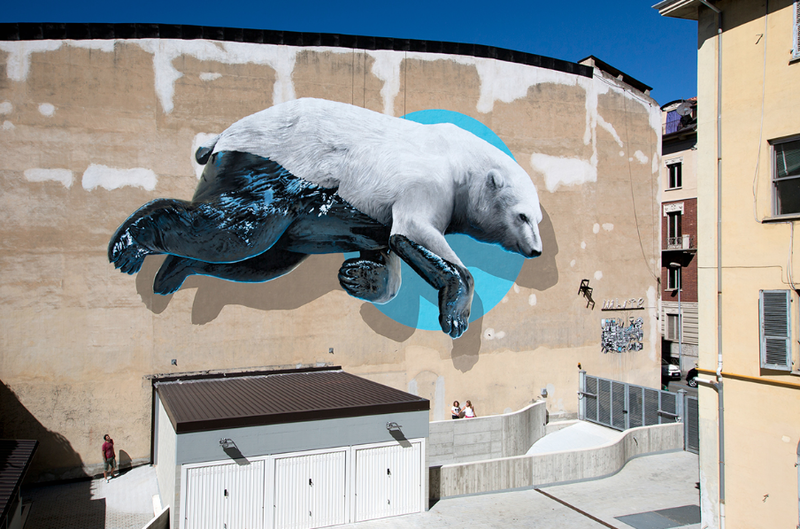 Meet the Swiss street art team Christian Rebecchi and Pablo Togni of NeverCrew. They examine issues of mankind's impact on nature through their thought-provoking artwork. An issue that continues to be a detriment to our planet but that very few talk about. More on their work here. 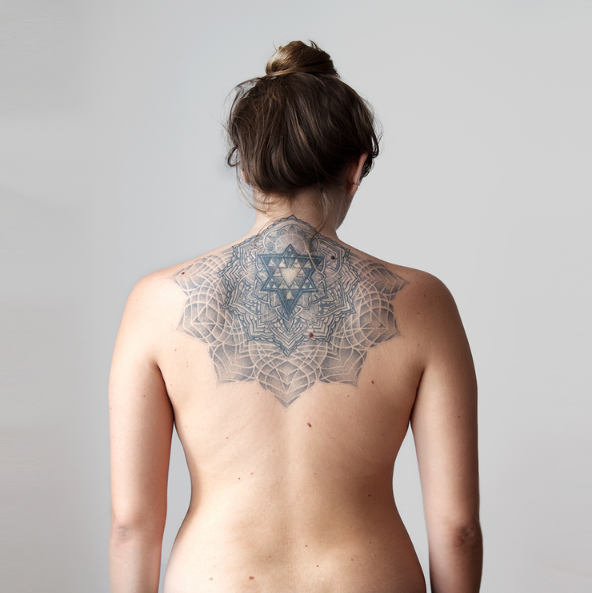 Kacy Johnson is creating work that challenges our ideals of beauty and is shining a light on how we are all the same in her series, Female. To hear more about her inspiration, hop over to this article and to hear her subject's moving words on being a part of this project visit her IG. Meghann Junell Riepenhoff is taking her work off the walls and into a 3D space. 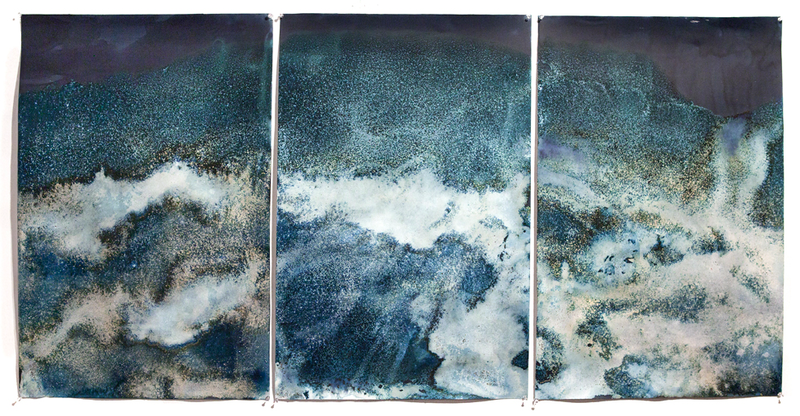 This series, Littoral Drift, uses the cyanotype process mixed with elements of the ocean to curate these pieces. As nature changes and evolves, so will her pieces. Dive into her process and methodology for creating these camera-less images here. *All images are from each artist's website.